Sales Meetings That Work, (including your absolutely free read of Chapters 6 & 18), In Brief: A how-to structure template: Published 1983; Dow Jones-Irwin, updated 2002 via www.1st Books.com (current new name, AuthorHouse.com). Everything needed by any meetings manager for any type of meeting of any size. Long ago proved! Essentially, this is AOM expanded for use by all persons who are saddled with meeting planning and management. Clips in the "Recognition" segment of this website..
Chapter 6 Audio/visual learning & update. 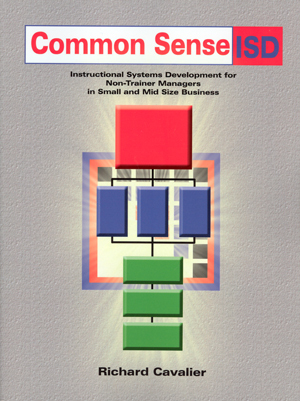 Common Sense ISD: Instructional Systems Development for Non-Trainer Managers in Small & Mid Size Business. In Brief: Proved structure to guarantee that do-it-yourself training will be strictly derived from the job to be done. A how-to text with examples of all needed forms and other explanations. Essentially a "translation" and expansion of the US military's Instructional Systems Development method (modeled on the winning service contest version)–here made useable by anyone. The end of hocus-pocus in training. 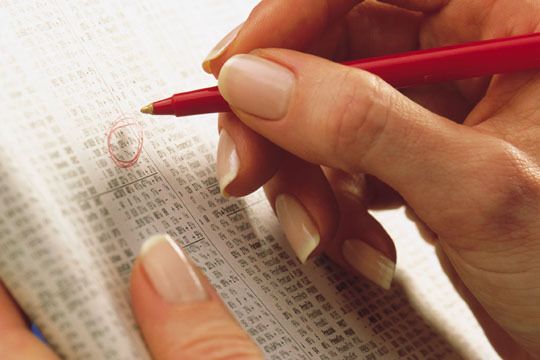 The do-it-yourself route to professional results in training. Contents and Phase I (of 5 phases) plus sample tasks. *Final Thoughts: Comprehension and control. (Misinformation, disinformation, and other pitfalls of the meetings/training/convention trade . . . Need a top-executive or department-managerial discussion of this book material and its prospective uses within your company? If so, download and forward or print-out a (landscaped) 3-fold flier that summarizes all three books and some benefits. 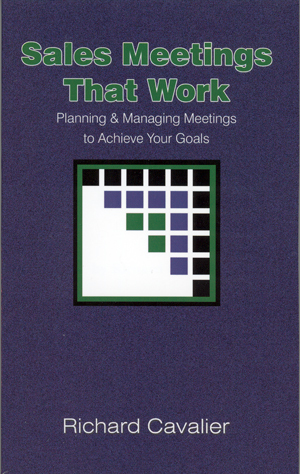 These books can deliver new meetings/training capabilities to all managers. Dewey-related systems for basic ESL have been around for a century. . .why bother to reassess them? --The computer has found 1,120 ways by which to write the forty sounds/phonemes of English. Complex ratio? U-Milan has found that language complexity aggravates dyslexia in students who are genetically susceptible. We're not all susceptible. Confused but non-susceptible learners just drop out, apparently the default system of measuring 'achievement' in adult night schools. --Built-in problems: Seven vowel sounds (traditional 5 plus 'Y' and schwa) have 19 pronunciations. --Immigrants are taught by children's methods: each-word-memorized, from generic lists of ten new words weekly. Generic word lists reflect no teen/adult life well: 250,000+ words in our language. --Children have spoken vocabularies of from 10-30,000 words (U-Pittsburgh) when learning to read in second grade (depending on family education). How many immigrants begin reading with a vocabulary of that size? --Children know that Santa arrives in a 'sleigh,' and they know how to 'weigh' themselves--so, they're prepared to understand the issue of "'I' before 'E' except after 'C'. . .except. . .except. . .then guess.” How should immigrants know the sound of written words that they've never seen before—or can’t match to spellings? Shortcomings quoted above should alert you to the serious blinders among educators who teach children how to use computers. . .but will not themselves learn from those computers. The solution: Teach the dictionary codes. On mastery (8-sessions of 2-hours each), learners can pronounce every word in the dictionary. Used with their bilingual dictionary, too, learners can pronounce in English—when needed!-- any word already known in their own language(s). Details on buttons below the blue block summary, following. 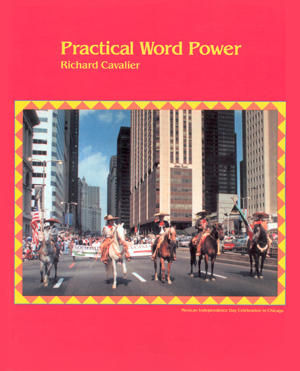 It's not Dewey, but "Practical Word Power" really works! Proved. Try it. . . .
You'll tutor phonetics from 46 dictionary codes, not "sound-out" rules, lists and guesses. The computer has discovered over 1,100 ways by which to write the forty (40) sounds of English! Traditional school-room ‘sound-out’ is foolish for adults: slow, difficult memorizing. Dictionaries present all the same words in fewer than 50 sound-symbols--simplified! With Practical Word Power, any volunteer who speaks standard English can tutor up to 10 limited- English foreign-born learners and deliver independence in vocabulary development in only 8 sessions of 2 hours each. Only 45 dictionary codes to be learned. Easy, specific response. Proved! Useful for accent-reduction for executives and American-born learners who currently speak non-standard English but who wish to improve. Bonus skill: With codes learned and their bilingual dictionary in hand, foreign-born teen/adult learners can immediately USE IN ENGLISH any word that's known in the native language! This ends the 'sound-out' need for memorized word lists, as taught in traditional schooling for months or years. Lists are for children, who need basic vocabulary for their societal needs as well as for entry into our step-curriculum system. But children begin with a spoken vocabulary of up to twenty thousand words when learning to read in second grade. They are further aided by pictures depicting those known words. That vocabulary does not describe the majority of ESL learners. Why teach adults by children's methods? In addition, a study by Prof Eraldo Paulesu, et al, at Univ of Milan/Bicocca, concluded that language complexity can aggravate dyslexia in students who are genetically susceptible. We're not all suceptible: unskilled students simply drop out. Summary on this website under "Science, Psychiatry" Journals button (see "Support & Validation" button re:"Science" Journal, March 16, 2001 and its "Psychiatry" summary.) PWP's original method simplifies via dictionary codes to 1/20th the complexity of "sound-out" phonetics, Because the Paulesu, et al, original is written in dense scientific terminology, the Helmuth companion and "Psychiatry" articles (button below) are easier for laymen to digest. Significantly, PWP was consistent with advanced theories of ESL at the time of its design (1981). It remained current at the time of its first publication (1989) and also remains consistent with advanced theory today, as summarized in Judith Lessow-Hurley's influential text "The Foundations of Dual Language Instruction, 3rd Edition" (Boston; Addiston-Wesley Longman, 2000). Apparently, PWP began practicing, in 1981, the same worthwhile methods, but based on Cavalier's intuition and business meetings experience since 1960, programming for adults. 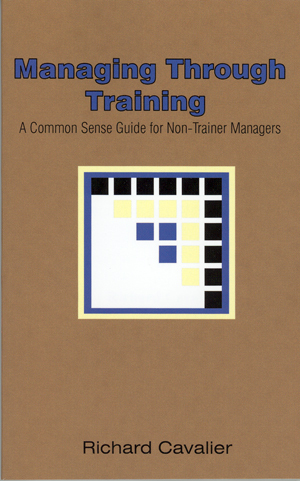 See materials under the various meetings and training books, on this website. PWP is verbatim for native-speaker tutors, who need NOT be certificated teachers! Verbatim text includes all needed lecture/discussion, chalkboard entries, charts, drills, and suggested resource materials. Learners use only paperback dictionaries. Total book cost for tutor and up to 10 learners: just under $100 retail. Complete! Qualified: Holds the California Certificate of Compliance. Accepted by the New York City Dept of Education and listed on its books website. Designed in Chicago. To buy: click on www.iUniverse.com, at the "Book titles" page on this website). Other group communications how-to books by Richard Cavalier: www.AuthorHouse.com; also on this website. (For credence materials, see "Support & Validation" on blue selector buttons, following. For a two-page, b2b, three-fold brochure, sample fundraising letters see the "User Helps" button. For a formal presentation (plus a roadmap to the section), see "Abstract &" "Precis."